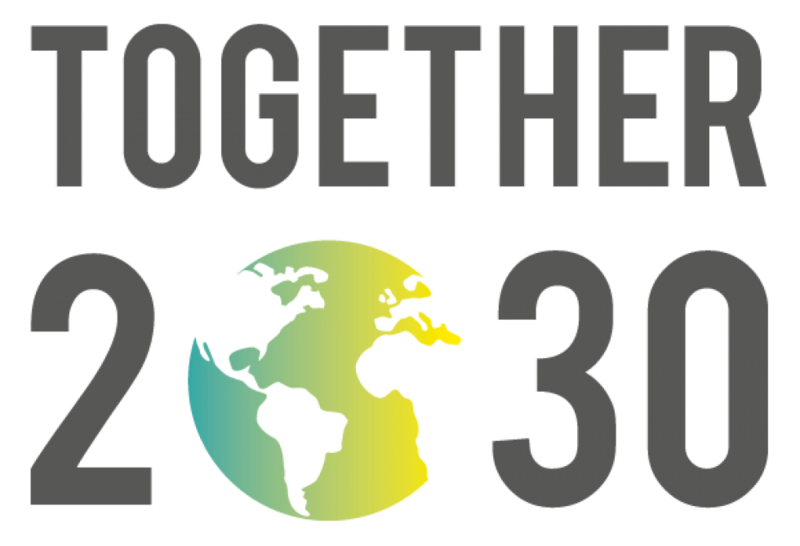 Together 2030 was launched 3 years ago, few months after the adoption of the 2030 Agenda for Sustainable Development, Thus, both have now arrived at a 3rd year. We are delighted to be able to celebration this important date with you- the members- once again. Every new year brings new challenges an we are convinced that there is more to do than ever before- Together 2030 is as relevant an initiate as it was in 2015! We are united on this anniversary date with one single message, that is, more than ever the 2030 Agenda and its SDGs must have a practical and real impact on the lives of people living across the world. Otherwise, the promise for a meaningful and transformational change will never be met. At the heart of the agenda is the statement that this transformation requires partnerships, and we believe there is much more that needs to be done to create the enabling environments that will lead to SDG policy changes, implementation and achievement. As the Core Group of Together 2030, we want to extend a huge thank you to all members. Together 2030 is an initiative that works through strong partnerships, and it is only through your active engagement that we have been able to continue to grow and develop. We are hereby releasing our Annual Activities Report for 2018, which outlines the amazing contribution our joint initiative makes to the collective knowledge and expertise that is critical to promoting the implementation of the SDGs. We are a result-oriented initiative, and the Annual Activities Report speaks for itself in showing the results from our projects to our engagement with the High-level Political Forum. Happy reading! Nevertheless, there is yet more to be done, and our call this year is that we need to see change from the local to the global levels: creating enabling environments for SDGs implementation and policy change. The above includes engaging and advocating for Voluntary National Reviews to be true reflection of national implementation including challenges, trials and errors. To support this endeavor, we have just launched our quick guide for civil society; it includes the role of Parliaments. We will convene a webinar on this theme on 6 December, which will, build on the guide we released earlier this year. The latter involves strong civil society partnership at national level. We also published a report mapping national networks. The upcoming 2019 is a big year in shaping the enabling environments we need to accelerate implementation of the 2030 Agenda. For the first time since the adoption of the 2030 Agenda, we will have an HLPF under the auspices of the UN General Assembly in September in addition to the yearly one under the auspices of ECOSOC in July. The HLPF in September will convene Heads of States to discuss progress on the implementation of the 2030 Agenda and its SDGs. Right after this important moment a process to review the HLPF will begin. These are both key moments and we will be active in ensuring that developing spaces for civil society engagement is a high profile message throughout the year. We will soon share with you our 2019 Plans outlining our engagement on these two sessions of HLPF. We look forward to working with you over the coming year for a Together 2030 Initiative ever strong and purposeful! HAPPY THIRD ANNIVERSARY TO YOU ALL!